When used for tasks where the performance of hard drives is currently adequate, the write endurance of the 5210 ION shouldn't be much of a problem. An endurance rating of about 0.1 DWPD would be sufficient for the 5210 ION to handle more random writes over its 5-year warranty than a hard drive can provide, but for sequential workloads it will still be possible to wear out the 5210 by writing to it at hard drive speeds. 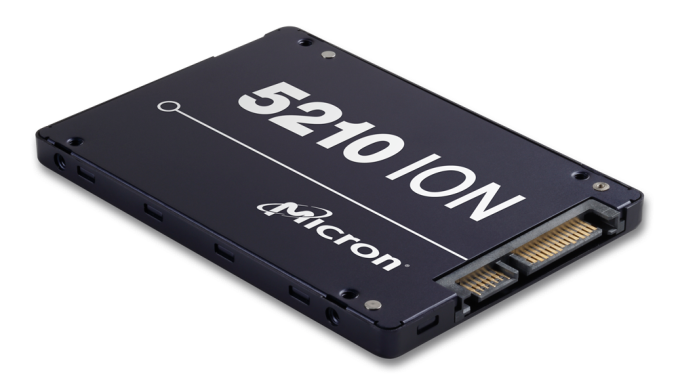 But Micron isn't recommending the 5210 ION for continuous video recording; instead they are pitching it for workloads that are at least 90% reads. Not lame? Cheaper SSDs are always a good thing, right? Cheap out on storage? You are implying a technology that technically isn't even available at retail yet is unreliable. Considering how long they have been sampling QLC for QA (since last year) and Micron's track record for legendary NAND reliability, the drives, especially paired with a Marvell controller, will likely be more reliable than any magnetic storage medium hence it's enterprise focus for bulk cold storage where write performance will still exceed most hard disks and read performance will exceed any hard disk. 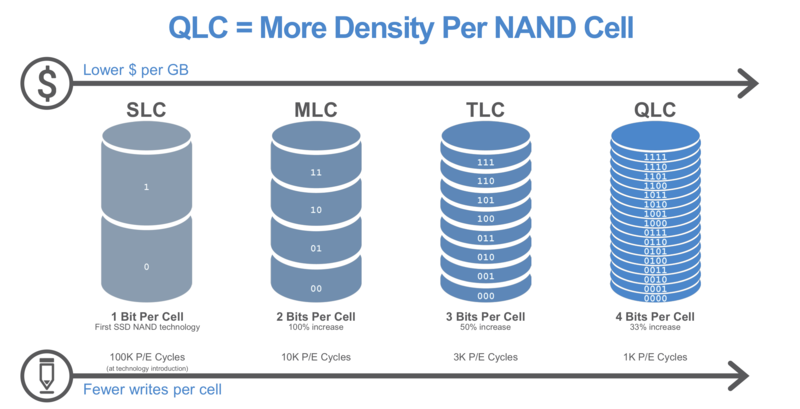 1000 cycles is good enough for 99.99%+ of home users with modern controllers (DRAM & SLC cache & wear leveling).